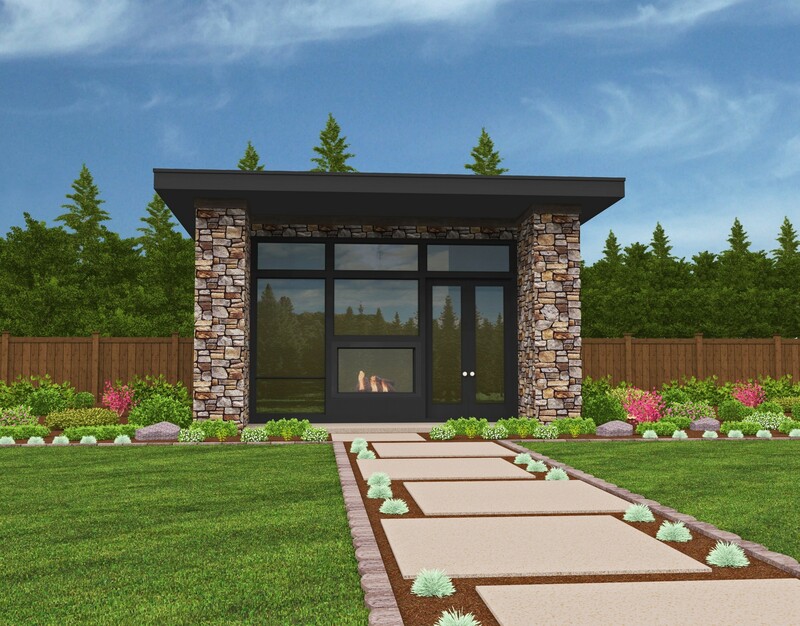 This elegant sample of our small modern house plans is a beautiful example of how to design a tiny home and not lose any substance. 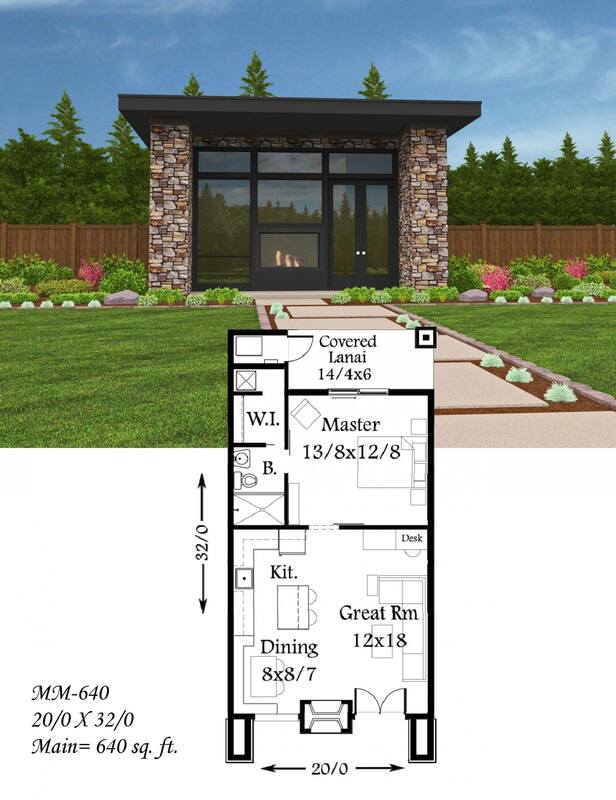 This modern small home plan is the perfect in law, guest house addition to your property, or the perfect place to get away and enjoy the ease of function that flows from the front door to the back Lanai. 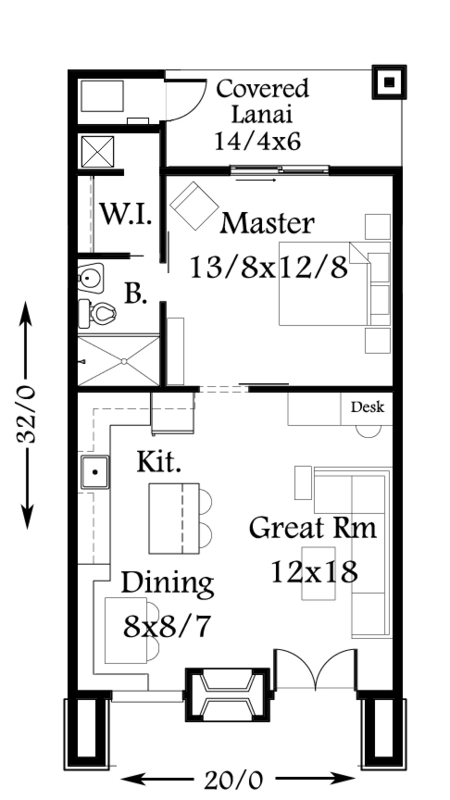 It is laid out perfectly so you can utilize every space and not “feel” like you are in a tiny home. 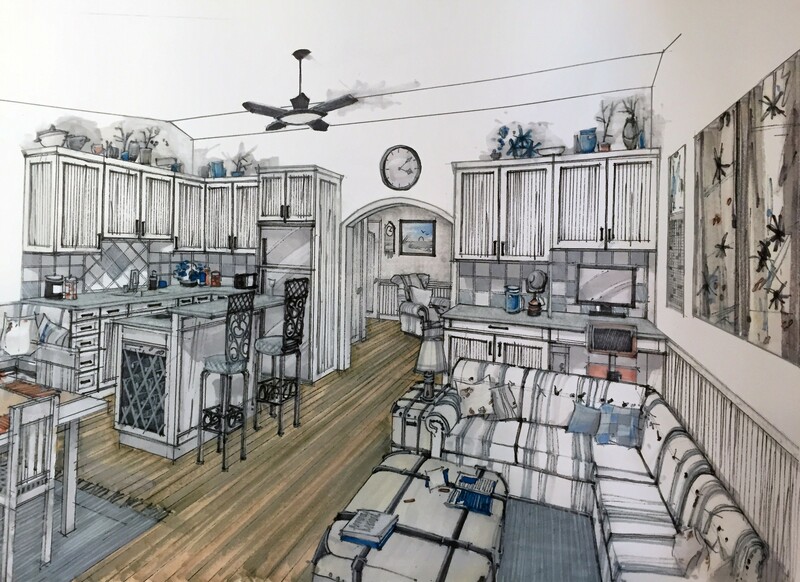 As you can see in the pictures of this home design the open floor plan, and neatly put together master suite allow for privacy as well as the comfort of a much larger home. The front porch is the perfect place to enjoy a view and cozy up to a warm fire after a long day. If you have any questions about this home design please let us know, or to see more small modern house plans, click here. I am very impressed with this design. 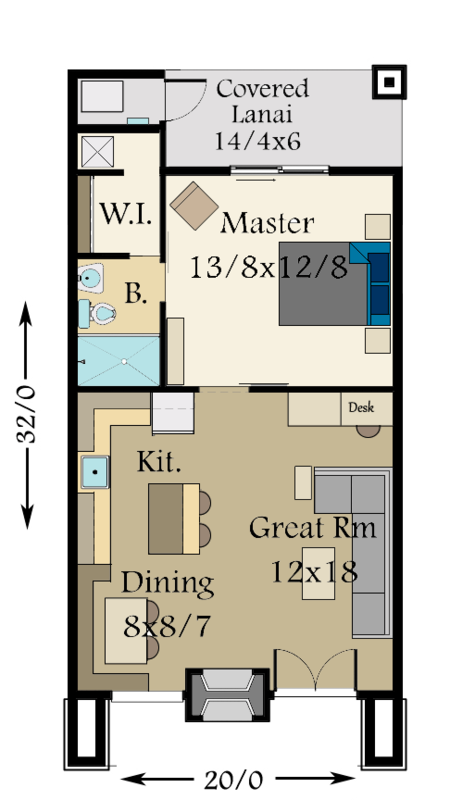 At this point of my life (September, possibly October, of my years…); your one-story compact design is a sound option. I would change some very minor things, living in MN and living alone with a dog. I would consider making the dining area the office area with a client seating area. I would change the office area into a library with a reading chair and wall-mounted TV built-in, and take the cabinetry all the way to the ceiling. As well, in the kitchen, I would extend cabinetry to the ceiling. 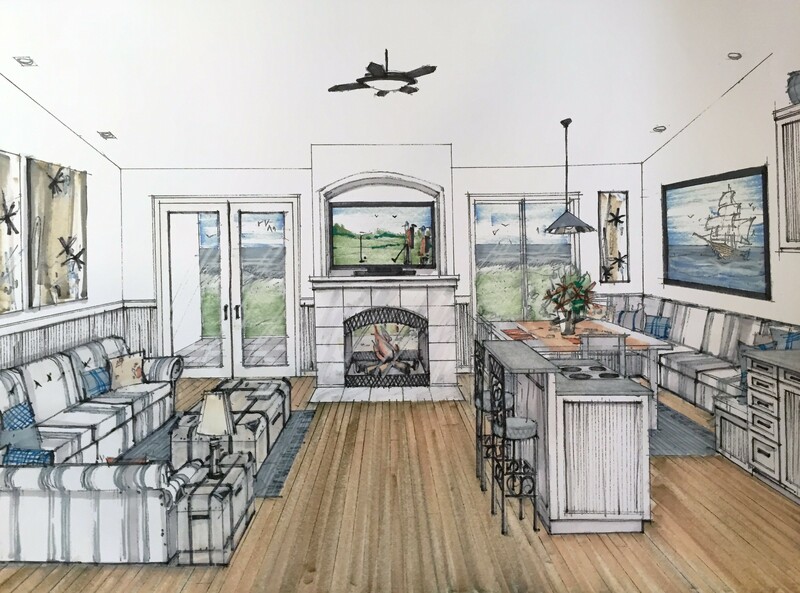 I also think that for my upper, upper mid-west sensibilities, I would wish to enclose the lanai and front porch with full height sliding glass panels and a glass storm door for 3-season porch insulation of the indoor living area. The sliding doors would allow seasonal opening for fresh air for most of the year, and protection from the elements at other times.